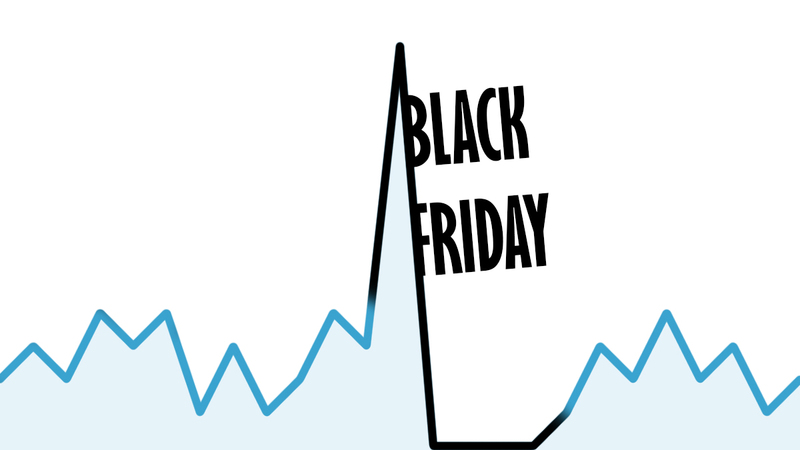 On the fourth Friday of November — the so-called Black Friday — the sales season begins. People are waiting for big discounts in order to purchase expensive items and services that they have long dreamed of. Also, they buy gifts for Christmas and New Year in advance. The number of stores participating in Black Friday is increasing every year, as way as the number of buyers is increasing, not only because of residents of big cities, but also because of the population of small provincial cities, and all this thanks to the development of electronic commerce. People are looking for gift ideas on the Internet. Here they also find websites where they order products or services, read reviews from real users, compare prices, find out delivery terms and return options. Whether visitor will become a regular customer, whether it will return again, or recommend the company to friends and relatives — it all depends on how the website will communicate with the user. 20-30% of products and services are purchased online during sales. November and December is the hottest time for all retailers in general and for owners of online stores in particular. A lot of money is spent on advertising, high profits are expected. But all efforts and expectations may face a harsh reality: the site will not be ready for the peak load due to a sharp increase in attendance. The most vulnerable in this situation are medium and small e-commerce and service sites in a niche where competition is high. Potential customers may be tired of waiting for the page to load, and leave to more successful competitors who are prepared for the increased load of their website in advance. Oh, my website is "stuck"! A variety of plugins, counters, chats significantly affect the speed of the server response. And if the number of website visitors also increases, this can significantly reduce the ability of the server to process all requests coming to it, what will lead to a decreased amount of orders from the site, and accordingly — to a decreased profit. The situation, when the server doesn't have enough capacity to handle simultaneously incoming requests, often happens with sites hosted on shared hosting. There are many websites on one physical server, between which all resources are shared — RAM, HDD, CPU. If one of the sites increases the load, the rest begin to experience a lack of resources, even if they are not online stores and do not expect a surge in traffic. And if there are several websites on one server that offer discounts on Black Friday... However, the hosting provider usually blocks the violator until the owner eliminates the reasons for the increased server load. But it usually takes time, and here it is — lost profit! To prevent this from happening to you, we recommend taking care of preparing for the sales season now. If you are interested in greater stability, reliability, security of your site compared to shared hosting, choose a virtual server (VPS, VDS) that emulates the operation of a physical server. If you want to be the sole owner of the equipment resources and you need more than the standard rates can provide — pay attention to the dedicated server. This option involves a large number of configurations, including the individual ones. If you have long wanted to move from a shared hosting to a server, but you were afraid that you would not be able to deal with technical subtleties, you would lose important data, you would not be able to manage the site as before, we want to assure you that you will not have to fight these issues yourself. Host-telecom.com specialists will help you when moving a site to a server. In addition, according to your desire, any hosting control panel familiar to you, for example, cPanel, can be installed on the server, and you will not even feel the difference, except the fact that your site will become faster! And you can always contact our 24/7 highly qualified technical support and get answers to your questions about working with the server. We advise you to take resources with a reserve. What if suddenly the number of visitors to your site will be higher than you expected? And hurry, your competitors could read this article and already doing the upgrade. Any questions? Call us at +420 391 000 777, write to the chat or email to support@host-telecom.com — we will be glad to consult you and select the appropriate option for you to host your site.